A light cleansing oil with Apricot, Rice Bran oil to help condition the skin and offer a thorough, deeper cleanse than your cleanser alone. Emulisifying even the most stubborn of make-up and mascara to leave skin feeling soft and smooth. Orange oil helps calm and Vitamin E helps to neutralise free radicals from environmental pollutants left from the day. To remove make-up, massage a small amount over face, eyes and throat. Dampen hands and massage again. Remove with soft, damp cloth and rinse well with warm water. 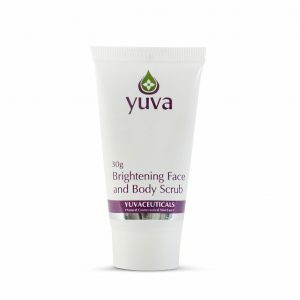 Repeat cleansing step with recommended Yuva cleanser.